primal escape, rhythmic violence, and frenetic jazz. their skulls and claiming the highest score you can! to deliver a scroll paramount to his clan’s survival. where you program robots to cook food. in the relentless fight against the evil Mormo. CUFFcade is an initiative which we started in 2015. Each year we will launch a new set of games at the April festival. These custom cabinets that house the games are portable and can be set up at off-season events. 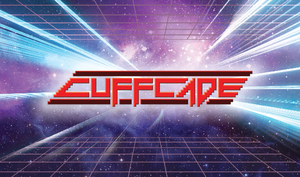 If you are interested in CUFFcade being a part of something in particular, please drop us a line! The games are curated by Mike Lohaus.